If you were injured in an accident start a free chat now! Being a victim of a personal injury isn’t planned, and extremely inconvenient. Trying to go after those responsible for your injuries can be a long and tiring task. Even worse is fighting with the insurance companies to get the compensation you deserve. If you team with Shiner Law Group, you’ll get the personal injury experts on your side. We have experience in getting results and negotiating compensation. Severe injuries may have devastating and lasting impacts on you and your families life. Any delays in hiring an attorney or medical treatment may affect chances of getting fair and just compensation. At Shiner Law Group, our injury lawyers do not charge you any upfront fees. Unless we win your case, you are not responsible for fees at any time. A civil lawsuit is the best way for you to obtain the lost household income from a breadwinner. Unfortunately, the legal system’s controlled by demanding and unforgiving deadlines. Time is of the essence when seeking legal advice. The insurance companies also will try to exploit injury victims and surviving family members who aren’t represented by an experienced personal injury attorney. Often insurance adjusters are amicable and friendly, but their goal is to avoid responsibility or lessen the amount of any recovery. Insurance companies increases their gain when a personal injury claim drags on. This occurs while the injured victim or surviving family members face serious financial hardships. If you cannot work while medical bills continue to rise, stresses might motivate you to settle for less than you could get. Our experienced personal injury attorneys use motions to compel discovery and other strategies to push your case forward. When trial is necessary our seasoned attorneys will do what it takes to win. 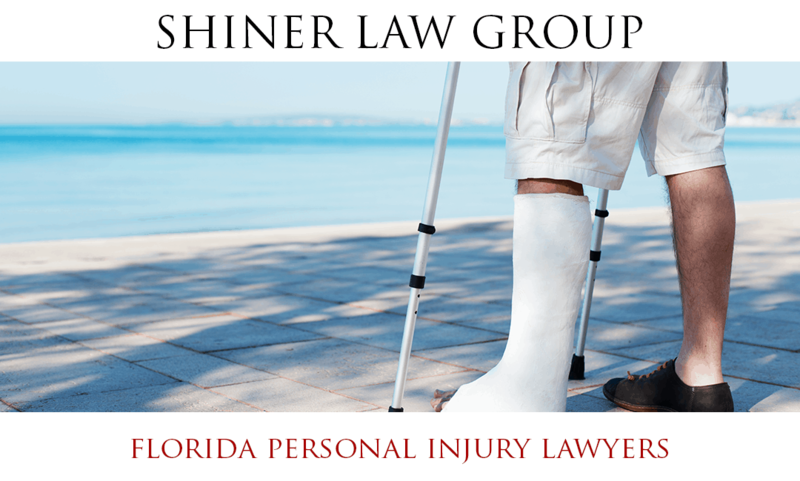 What are the most Common Causes of Personal Injuries in Florida? What Types of Personal Injury Cases Can I Claim For? Car Accidents: Florida is one of the most populated states and most people own car, and many families own more than one car. Many car accidents result in drivers and bystanders becoming hurt and injured. Regardless of the details surrounding your accident – if you ‘re injured in an auto accident we are able to help. If you’re hit by a car while on a bicycle, or just a passenger in an auto accident – car accident lawyers can help. The goal of our car accident law firm is to make your recovery process as minimal as possible. We’ll help you get the best medical attention while handling the legal process of your claim. Pedestrian Accidents: Often pedestrians become injured while walking along the street or crossing an intersection. Many times pedestrian victims suffer severe injuries due to fast-moving cars due to an inattentive driver. Unfortunately, many injured pedestrians may feel that they are responsible for the accident involving a car. Because they feel at fault they do not seek out representation from a personal injury law firm. Our recommendation is to call our office for a free consultation. We can review the details of the accident with a full investigation. Medical Malpractice: Healthcare providers must be upheld to higher standards when overseeing the medical treatment of patients. However, those in the healthcare industry are people, and unfortunately, people make mistakes. These faulty actions by the doctors, or nurse, or other medical staffing can lead to disastrous outcomes. We’ll help by investigating the medical staff and determine a discrepancy between the standard of care occurred. These mistakes could follow you every day for the rest of your life. Slip and Fall / Trip and Fall: A slip and fall could occur when a floor becomes slippery or wet with no warnings or barriers to preventing falls. A trip and fall could occur when there is negligence in repairing any damaged flooring. Also, where obstructions are left within walkways making foot traffic unsafe and disastrous. Property owners have a responsibility to preserve a safe environment for individuals on, using or visiting their property. If an inadequate, unsafe flooring condition has resulted in you being injured – we can help. We will put a personal injury claim together showing irresponsibility on the property owner due to a failure to maintain safe conditions. We will fight to get you as much recovery as possible. Nursing Home Abuse: We entrust nursing homes and assisted living facilities with our loved ones when more focused, or long-term care is needed. There is an expectation of trust and reliance on these facilities to give adequate and proper care, nutrition, and monitoring. Under certain circumstances your loved one may become mishandled, under supervised, or mistreated, causing extreme injuries and even death. Don’t let negligent, inexperienced, or abusive staff get away with causing harm to your loved ones. Wrongful Death: The most unfortunate outcome due to another’s negligence, misconduct, or intentional act is a wrongful death. When you lose someone prematurely, the emotional and financial catastrophe can be devastating. It’s challenging for family members to file a wrongful death claim to seek compensation for present and future losses. While you go through the process of grieving, our professionals aggressively go after those responsible fighting to make sure you receive a recovery for damages from lost earnings, medical bills, funeral expenses, and loss of net accumulations. Premise Accidents: Whether residential, commercial, or public property, there is a responsibility for the property owner to maintain a safe environment for all who visit. If at any time an injury occurs we encourage you to contact us to discuss your injuries. Defective Products Liability: There is an obligation by manufacturers to provide a safety check on all products that are being sold and used by a consumer. There are times when manufacturers fail to follow the guidelines of proper safety expectations. Consumers often become the victims of these unsafe products which often cause serious injury and sometimes death. If you need help filing a claim for a defective product contact us so we can help with your case. It is important that after you have unintentionally become injured in an accident, you contact the authorities and get all documentation pertaining to the accident. Without these your claims validity and injuries become questionable. The better we can prove negligence and fault the stronger your case will be. Immediately after an accident that you’ve been injured in, write down everything you can remember, including damages and injuries to yourself. Things such as time, date, weather, location, or anything else specific to the incident are important. If you have a mobile device with a camera take as many pictures of the surroundings where the incident occurred. Be sure to take pictures of any injuries you have received as well. Pictures are very valuable as evidence in the instance your case goes to court. If there are witnesses during the event, get their information. They may be to support the details of the events and your losses and injuries. Once you’ve gathered all the information and you’ve sought out medical attention, call our accident injury lawyer immediately so the filing of your claim can start. While most accidents are not intentional, but they still occur. Just because it’s deemed an “accident” does not mean that another party isn’t responsible. Shiner Law Group works hard proving another party acted in a manner that wasn’t “reasonable” causing harm to you. We’ll demonstrate that due to their responsibility of another causing injuries, you’ve suffered emotional, physical, and financial damages. Our ultimate goal is to take the evidence provided and prove you were a victim through no fault of your own. And because of this you’re deserving of a financial recovery. Their goal is to obstruct, prevent, and eventually deny your injury claims. They want to pay out the minimum amount of money possible. Without the best accident lawyer, the insurance company understands you have no leverage, leaving you at a disadvantage. Without an understanding of your legal rights, it will be difficult to get the insurance company to negotiate fairly. The chances of getting maximum compensation for your injuries decreases significantly and the insurance companies are aware of this. This limits the true value of a claim – meaning you settle for far less than you’d have with a lawyer. Some oversights are future and past medical bills, lost wages, and other potential damages and losses pertaining to your injuries. Our injury attorneys will help you understand your rights under the law, and disclose what’s available as a result of your injuries. When you hire an attorney, the insurance company will take you, your injuries, and your claim more seriously. They know we understand what is acceptable under the law and willing to go to court when necessary. Many injuries can seem to start off minor, then slowly grow into more serious injuries. Because of this slow progression medical treatment, or visiting a medical professional is crucial. Unfortunately, later, as the injuries worsen so does the pain. When you first become involved in an accident your adrenaline may be racing; it may continue for some time. When this rush subsides, the pain starts appearing. It is crucial to seek out medical attention immediately to make sure you are okay. After you’ve sought out medical attention it is beneficial to speak with a personal injury lawyer who understands the statute of limitations and what you’re entitled to. Our experienced personal injury lawyers are committed to helping victims receive compensation for the injuries and damages due to an accident, so call us 24/7 at 561-777-7700 or online for a free case review to find out how we can assist you. • Were You Injured in an Accident? 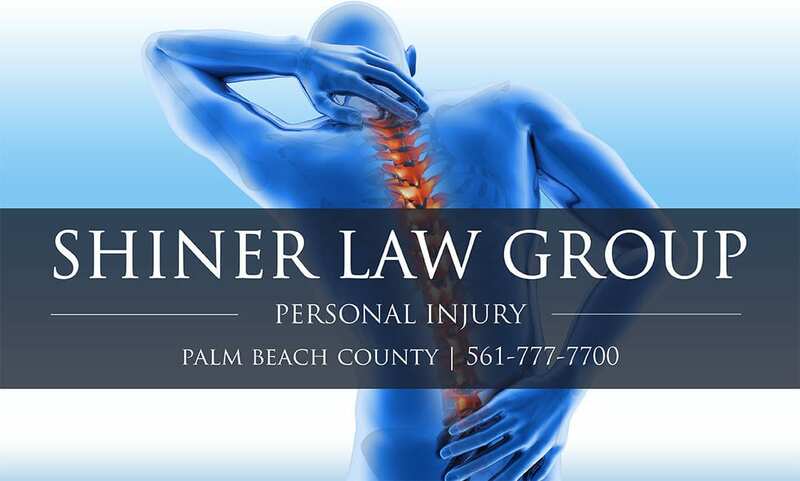 • What are the most Common Causes of Personal Injuries in Florida? • What Types of Personal Injury Cases Can I Claim For?